← European Collaboration Summit 2017 approaching fast!!! BUT! Be aware of two things. 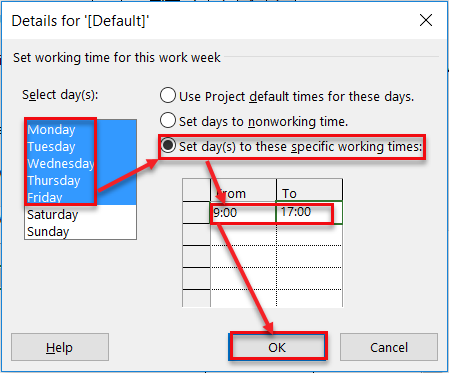 You should modify your working time in Calendar according to those new start time. If you do not do this, you might (and usually you will), have wrong result. As you can see, John is supposed to work from 08:00 to 12:00 and form 13:00 to 17:00. But because the Task has to start at 09:00, John will work fro 09:00 to 12:00 and from 13:00 to 17 at Monday (so John will work 7 hours), and from 08:00 to 09:00 at Tuesday. 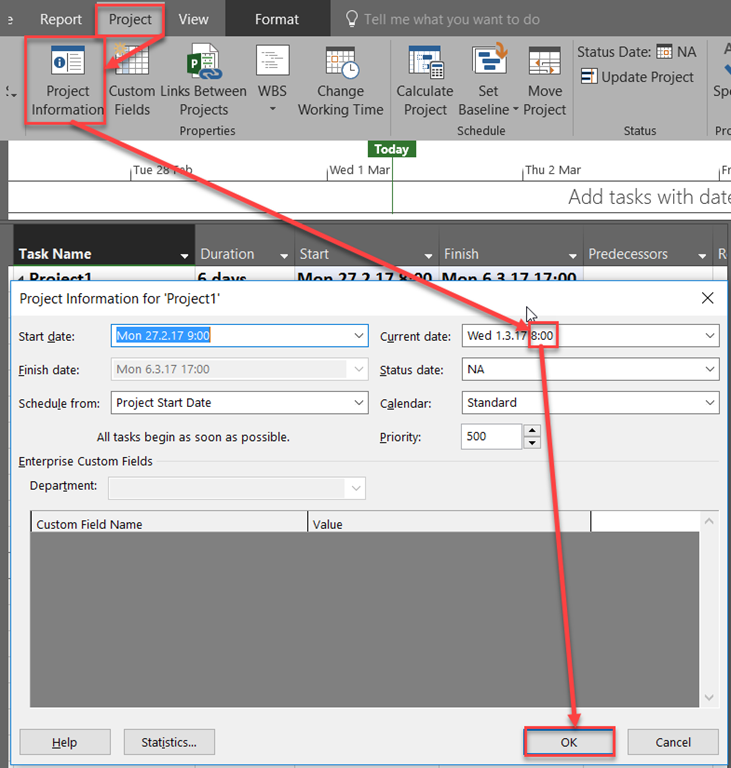 To conclude, always align Calendar with Project Start time, because Project start time determines Tasks start time, and Calendars are connected with Resources. 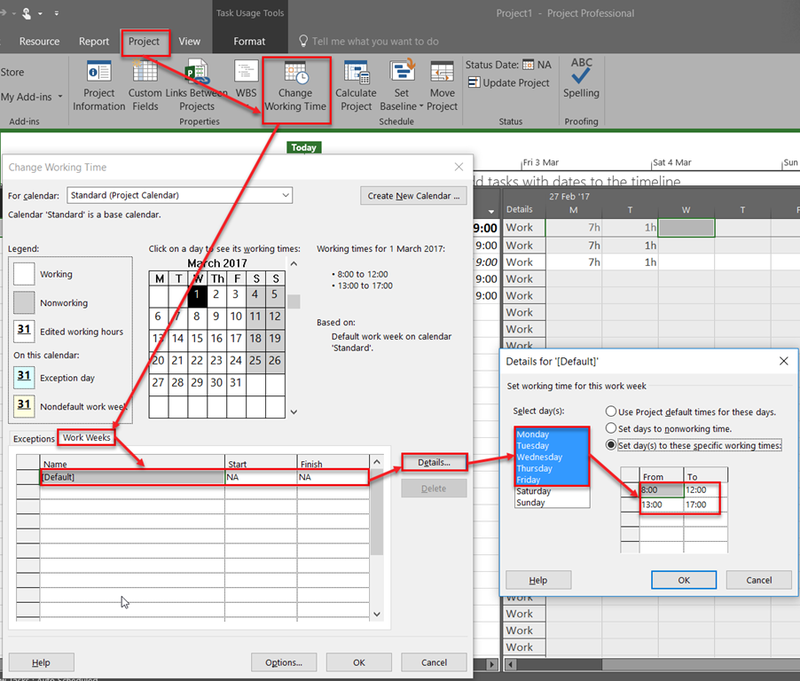 This entry was posted in MICROSOFT PROJECT, Micsrosoft Project 2016, MS PROJECT 2016, PMI, PRoject Management and tagged Micorosft Project 2016, Micorosft Project 2016 - Schedule, MS PROJECT, MS PROJECT - Schedule. Bookmark the permalink.